MOSCOW, February 6. /TASS/. Ukraine’s former President Viktor Yanukovich believes that the European leaders, who put their signatures, as guarantors, under his agreement with the opposition, deceived him in February 2014. "I was deceived and betrayed, or as ‘sophisticated’ Ukrainian politicians would say, I was ‘dumped like a hot potato’," Yanukovich said at a news conference on Wednesday. "On February 21, they signed that agreement but on the very same day armed thugs began seizing the presidential residence and governmental buildings. The next day, European countries approved that," he said. "They bear the responsibility. Nobody has lifted it from them and nobody will do it," he stressed. "I want them to provide a public answer [to the question] why I have been asking them many times and for many years, but I have never received a single answer from those countries, from the leaders of those countries." "What has happened and has been happening over the past five years is legal terrorism against its own citizens. This is such ideology of these authorities. 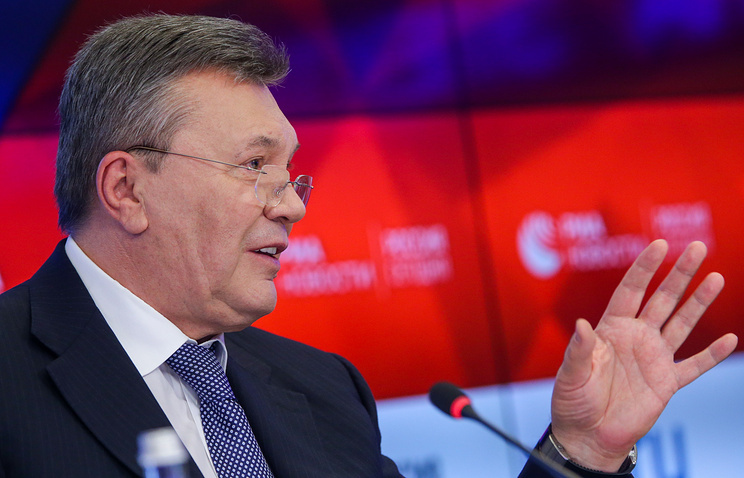 It has nothing to do with democracy, everything is happening vice versa," Yanukovich said. The ex-president voiced concerns about rising nationalism in Ukraine. "The heroes today are thugs, anti-Semites and radicals. This is dangerous because this extremism, which has been growing in Ukraine, poses a threat to the entire world." "I want to say once again that the people of Ukraine must not allow a fatal mistake," the former president stressed. "If these authorities are again elected, the consequences will be inevitable. This is frightening.". At the height of Maidan riots, then President Viktor Yanukovich and opposition representatives signed an agreement on a peaceful solution to the political crisis in Ukraine. Germany, France and Poland signed it as guarantor states. The document stipulated that the 2004 Constitution would be reinstated, an early presidential election would be called and "a government of national trust" would be created. Besides, the law enforcers were to be pulled out of the center of Kiev, while the opposition was expected to surrender arms. 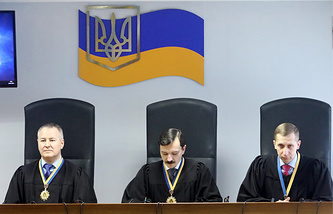 On the same day, the Ukrainian parliament (Verkhovna Rada) passed laws reinstating the Constitution of 2004 and releasing all detained protesters. However, in the evening radical protesters went on rampage smashing the governmental buildings and forcing the president to flee the capital of Kiev and then the country.